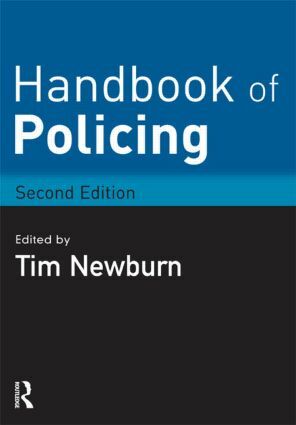 This new edition of the Handbook of Policing updates and expands the highly successful first edition, and now includes a completely new chapter on policing and forensics. It provides a comprehensive, but highly readable overview of policing in the UK, and is an essential reference point, combining the expertise of leading academic experts on policing and policing practitioners themselves. Tim Newburn is Professor of Criminology and Social Policy, and Director of the Mannheim Centre for Criminology, London School of Economics. He is currently President of the British Society of Criminology. Tim is the author or editor of over 30 books, the most recent of which are The Politics of Crime Control (edited with Paul Rock, Oxford University Press 2006); Policy Transfer and Criminal Justice (with Trevor Jones, Open University Press 2007); and the Handbook of Criminal Investigation (co-edited with Tom Williamson and Alan Wright, Willan Publishing 2007).